Was your interest by chance piqued when you saw Nokia’s Z Launcher running on the recently unveiled N1 tablet? If so, now is your chance to give it a whirl. The home screen replacement, now in beta, is now compatible with most modern Android devices (it was previously optimized only for the Galaxy S5, S4, S3, and Nexus 5). Z Launcher slipped under the radar when it debuted last June. For the uninitiated, the app is an “intelligent” launcher which aims to serve software, contacts, and suggestions when and where you need them by learning your patterns. In the same vein as Google Now, Z Launcher attempts to predict what you need before you realize you need it. It also features searching for apps by gesture. Scribbling the first letter of the app your searching for will bring up a list of results. The app is otherwise barebones, but was the idea; it seems intended more than anything to get out your way. Still, a few more options to customize appearance and behavior would be welcome. 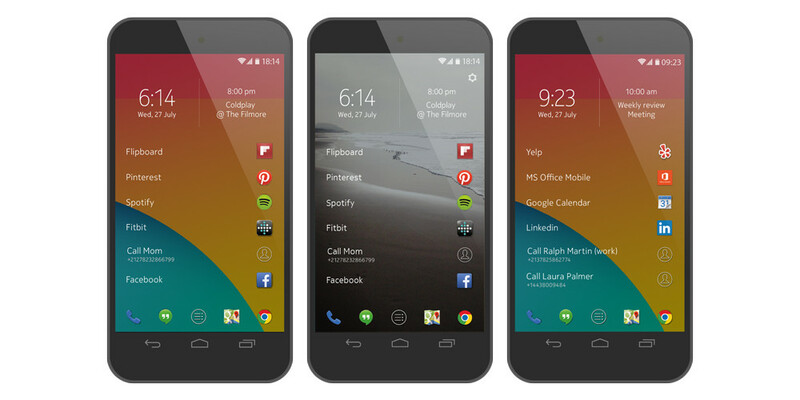 Z Launcher is free on Google Play.